Indywood Talent Hunt, the flagship event of Indywood Film Carnival (IFC 2018), is the biggest talent fiesta of the year for youngsters and it is coming to Hyderabad once again with a whole gamut of features. While having the right talent in you is important, what is even more important is knowing how you can nurture it and ensure maximum value from it. Indywood Talent Hunt, the biggest talent fiesta of the year for youngsters is coming to Hyderabad once again with a whole gamut of features - to cater to everyone's performance philosophy. Indywood Talent Hunt, the flagship event of Indywood Film Carnival (IFC 2018), will be an international platform for youngsters to showcase their talents. It is conducting to identify the talented young Indians and guide them properly to choose their career at the campus or school level itself while providing an opportunity for the shortlisted ones to get exposed to the film Industry during Indywood Film Carnival and perform in front of the luminary filmmakers from all over the world, so that the best among them can get a direct entry to the film world without any conventional hurdles. Last year, over 2,500 finalists participated in 22 creative disciplines. And this year, the competitions will be held in 28 categories including Advertisement/ promotional Video, Animation movie making, Children's Short Film, CSR Movie Making, DJ war, Documentary film, Drama, Dubsmash, Educational video, Film Quiz, Group dance, Indywood Vision, Model Hunt, Mono Act, More Events, Music Band, Music Production, Performance Art, Poster designing, Reporter/Journalist, RJ War, Short Film Making, Solo Dance, Solo Music, Still Photography and VJ war. This year, talent hunt is to witness participation from all the 29 states. 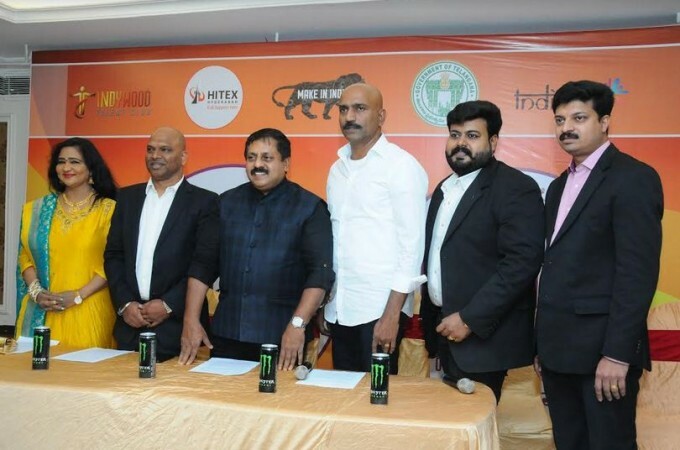 Official inauguration of 100 Indywood talent clubs (An initiative of Indywood to form talent clubs in major institutions across the country) will also be held during this event (December 2). Separate recognition for the best actor, actress, singer, music director etc. Indywood Film Carnival will be held at HITEX Convention Centre from December 1 to 5. The Carnival is expected to accelerate the growth of Indian Film Industry through materialising big-budget movie projects, co-production ventures and B2B meet generating business worth Rs 500 crore. Indywood Film Carnival is a part of Indiajoy- India's biggest Media and entertainment Expo. The annual event is expecting the presence of 5,000 business delegates from across 100 countries. The fourth edition of Indywood Film Carnival, a flagship venture of $10 billion Project Indywood, aims to elevate Indian cinema to an international level. IFC 2018 will be a one-stop platform for showcasing the latest technology and future possibilities in the entire spectrum of film making, skill development, pre-production, production, technical support, post-production, distribution, marketing and release among others. Another flagship event of Indywood Film Carnival, All Lights India International Film Festival will screen over 100 movies from nearly 50 countries. At least 16 movies will be screened per day and the films will include premiers of National and International Films. Did Varun Dhawan cancel engagement plan with Natasha Dalal at last minute?